EVANSTON, Ill., June 29, 2018	(Newswire.com) - Great Place to Work and FORTUNE have honored Katalyst Technologies Inc. as one of the 2018 Best Workplaces in Chicago. The ranking considered more than 11,000 employee surveys from companies across the Windy City. Great Place to Work, a research and consulting firm, evaluated more than 50 elements of team members’ experience on the job. These included employee pride in the organization’s community impact, belief that their work makes a difference and feeling their work has special meaning. Rankings are based on employees’ experiences, no matter who they are or what they do. Katalyst took the 20th spot on the list. The Best Workplaces in Chicago is one of a series of rankings by Great Place to Work and FORTUNE based on employee feedback from Great Place to Work-Certified™ organizations. Katalyst also was ranked as a Best Small & Medium Workplaces 2016 and Best Workplace for Diversity 2016 (Asian Americans and African Americans) by Great Place to Work and FORTUNE. 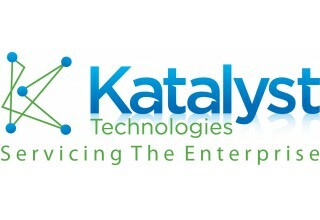 Katalyst Technologies is a best-in-class software, technology services and solutions provider. Katalyst’s business and technology experts are highly skilled and work seamlessly across multiple industries, geographies and technologies. Katalyst’s core area of expertise is ERP, Supply Chain Management, Engineering and Manufacturing, Digital & e-Commerce, Professional Services and e-Publishing. Katalyst is headquartered in Evanston, Illinois, with additional locations in Atlanta, Georgia, London-UK, Mumbai Pune, Bangalore, Hyderabad and Chennai (India). Learn more about Katalyst on www.katalysttech.com.